Automotive News has a great article this morning on how Lexus has few regrets and the brand is going very strong. But here’s the thing, they have one regret. A regret that our own Doug DeMuro predicted. Yep, Doug was right about something. That something is how Lexus needs a three row crossover and they are just leaving sales on the table. Jim Lentz, the CEO of Toyota North America, has recognized that too. 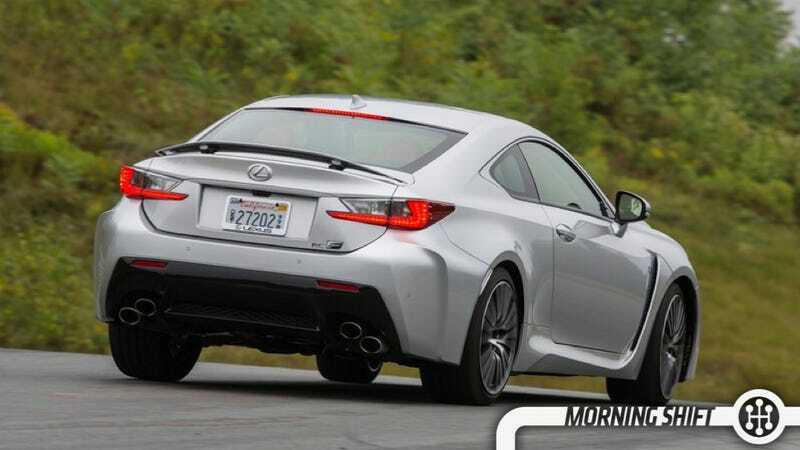 Instead of a three row crossover, Lexus brought out the RC coupe, a car that dealers have also been clamoring for because it a niche performance car with some style. But even though it’s outselling the Lexus LS for the year so far, a three row crossover would go so much further in increasing the sales of the brand. The RC is a product to help Lexus’s image, but a three row crossover would be a bigger help to Lexus’s bottom line. No matter what, that’s more important. China has a goal of exporting 860,000 cars this year. That goal is achievable, in the past they’ve exported more than one million cars. But this years looks like it may fall far short of expectations. Exports fell 22 percent last month to 61,600 units. The issue isn’t just decreased demand, but also instability in places like Iraq as well as Russia and the Ukraine, not to mention Russia’s recent troubles with the Ruble. China’s exports have been on the slide for the last few years, so this is definitely a setback in getting some of that mojo back. Subaru has been on a roll of amazing growth over the past several years. This is great. It’s so great that Subaru is accelerating its development schedule for its plant in Indiana by nearly four years. The original plan was to have the plants capacity raised to 328,000 cars per year by 2017 and then 400,000 by 2021. The new plan is to have it at 400,000 by 2017. Subaru has been setting record after record for the last seven years, and the expansion of this plant will help continue that enormously. The UAW has been making small gains in membership for the last few years, and wants to continue that by adding a new sub-class of workers that would do jobs normally left for parts suppliers. They’d be sorting parts and doing other tasks in the factories that don’t involve building cars. They’d also be making considerably less than those involved in building cars. This comes at a time when the UAW has to negotiate raises for its other workers and try and address the $9 per hour pay gap between entry level employees and veterans. Fiat Chrysler is appealing a $150 million judgement against them for a boy who died in a car fire in 2012. FCA says that the judgment is “grossly excessive” and against Georgia law. Chrysler argues that the jury was asked to send a message to automakers and act as a safety regulator instead of an impartial jury. They want to see the reward amount reduced and a new trial if the family won’t accept less of a reward. What other automaker mistakes are being regretted right now?